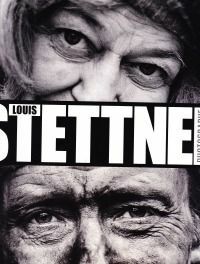 Photographe takes a selction of Louis Stettners photographs from the year 1946 util 2011. Louis Stettner photographed cities, people, and the interaction between and among the two. The photographs in this book are divided into eight sections according to subject matter. The introduction to this book by Raphaël Picon, in French, he explais the way in which Stettner captures he quotidien without glorifying it or simplifying it, leaving the viewer enough space to construct a narrative around the image. Casta Diva, 2012. Softcover, 144 pages.